All rise for a smart and funny platform keeping philanthropic giving as easy as (a) pie (in the face). Imagine raising $1 million for epilepsy research simply by promising to shave off your mustache. Picture strangers pitching in more than three times the amount you ask for, all in the name of ending multiple sclerosis, because they want photographic evidence of you and your buddies sitting through a live musical performance of a band that gives you (and a lot of other people) a splitting headache. Or perhaps you decide to raise $20,000 for an environmental cause close to your heart by running a series of marathons dressed like a rhinoceros. Each of these things, wildly enough, has actually taken place in real life and surpassed the instigators' goals, connecting charities far and wide with much-needed resources. In a world where Indiegogo and Kickstarter campaigns deftly count on the kindness of friends and strangers to fund creative and commercial projects in progress, another equally clever site has risen to prominence in the name of charity, and it's done so with more than a few belly laughs along the way. Founded by actor Edward Norton and friends in an intelligent, albeit cheeky, marriage between technology and philanthropy, Crowdrise relies heavily on its sense of humor (its tongue-in-cheek tag line, for example: "If you don't give back, no one will like you") to get its point across. And it's working. Former Senior Advisor to the U.S. President David Axelrod raised a cool million dollars for epilepsy by threatening to shave his trademark mustache. Runners Richard and Philippe Flamand ran several marathons in rhino costumes to raise money to stand up against rhino poaching. And a sarcastic but well-meaning group of friends raised more than $3,000 for MS research in honor of their friend who's living with the condition... by going to a Creed concert, wearing Creed t-shirts, with nary an adult beverage to get them through the show. While different musical styles (and choices of marathon gear) appeal to different kinds of people, humor is universal. That may be part of the reason Crowdrise has survived the nation's economic downturn with aplomb: it appeals to the do-gooder in all of us, and it does so in a way that's accessible... funny, even. 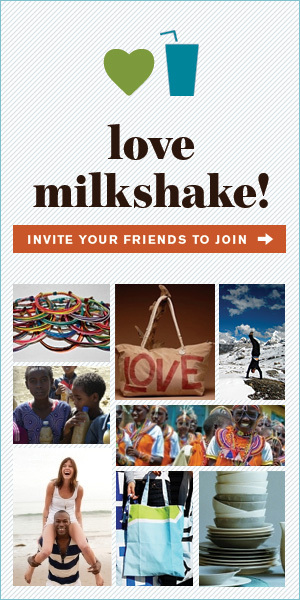 Some individuals take a simpler approach to using the site -- running a charitable birthday campaign or socially conscious wedding registry in lieu of gifts, or doubling down on personal charitable efforts by letting others get involved as well -- but all have a positive impact on their charities of choice. In a day and age in which anything and everything can be accessed by the click of a mouse or the swipe of a phone screen, it's comforting to know that philanthropic efforts are keeping the pace right alongside everything else. If that's not worth rising from our seats for a standing ovation, we're not sure what is. 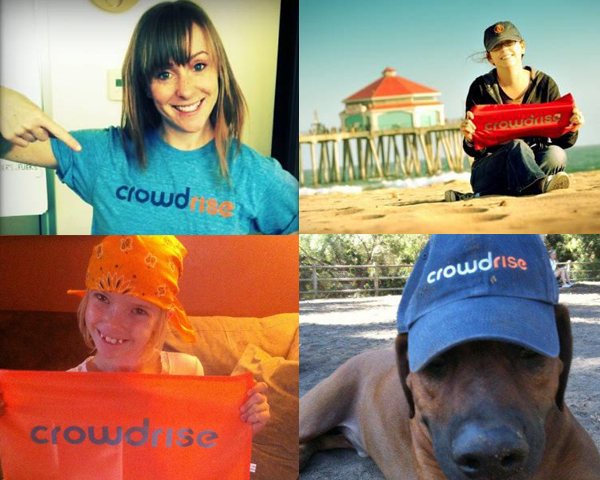 To contribute to a Crowdrise campaign or start one yourself, click here.